Officials in Petchaburi installing pumps to drain water from the reservoir of the Kraeng Krachan Dam amid concerns that disaster was looming. BANGKOK - Residents in Thailand's western provinces have been urged to move to higher ground as dams in the region are rapidly filling up due to heavy downpours while authorities raced to reduce the impact from possible flooding. The provinces of Phetchaburi, Kanchanaburi and Prachuap Khiri Khan are bracing for floods, as the Royal Irrigation Department (RID) issued a warning on Sunday (Aug 5) that many of the large dams in the area were nearly full from continuous rains, The Nation reported. More water will have to be released from the dams to keep the levels stable, but it could cause floods in the downstream areas, the RID said. 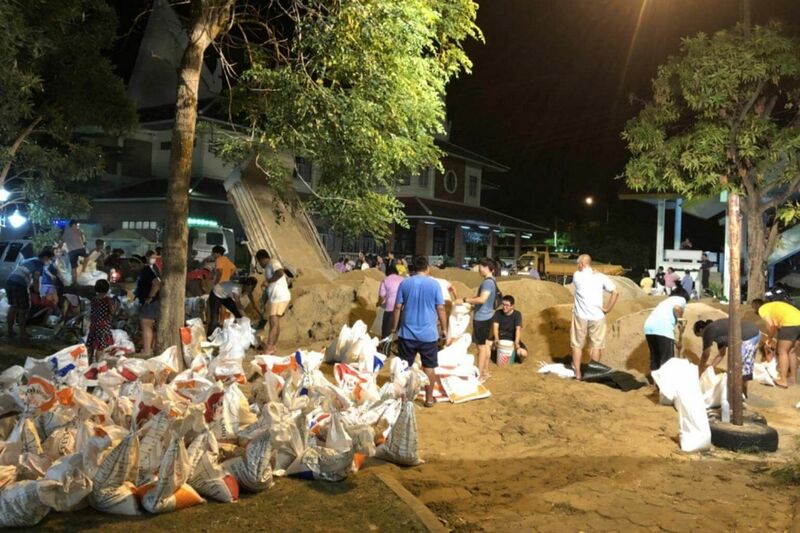 Residents in Muang district were scrambling to put up sandbags and build concrete barriers to brace for floods which could happen on Monday (Aug 6) or Tuesday from the Kaeng Krachan Dam spillover, the Bangkok Post reported. But RID chief Thongplew Kongchan assured that the spill would not cause damage to the dams as the volume of the spillover would not rise too rapidly. "It could take more than 12 hours before the spillover reaches Phetchaburi Dam, and it would take another 20 hours for the dam's surplus to reach Muang district," Mr Thongplew said. Officials urged people living along the river in these provinces to closely monitor the water level in the river, move their belongings to higher ground, and evacuate children, elderly and sick persons from flood-risk areas, The Nation reported. Meteorological Department director-general Wanchai Sakudomchai warned that Thailand will receive more rain during the next few days as a result of the stronger south-western monsoon, especially in western region, which is directly facing the monsoon. "Phetchaburi has experienced flooding three years in a row, which is very strange. But the people are most concerned about the period of this flood, as it is the first time I have heard the dam getting full, especially with three more months of rains to endure," he said.